Flat education future vision concept. Man looking through spyglass stands on book heap, apple, clouds, stars, cup winner. 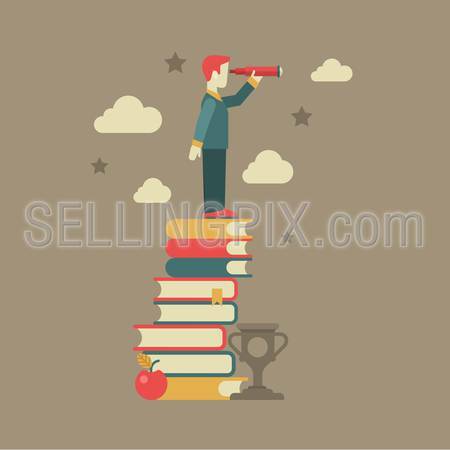 Conceptual web illustration for power of knowledge, meaning of being educated.